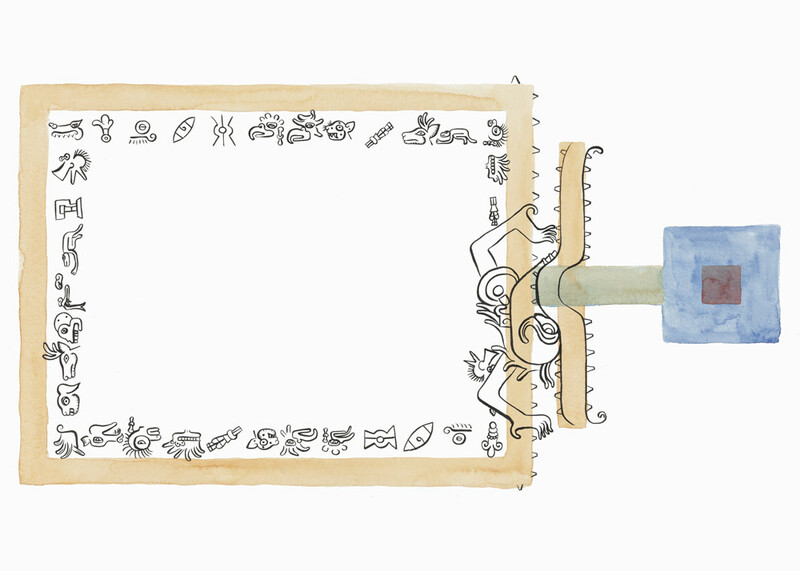 Ixiptla is a journal about trajectories of anthropology, initiated by the artist Mariana Castillo Deball. Published in the context of exhibitions or art events, Ixiptla takes the form of a highly visual magazine with substantial essays by anthropologists, archaeologists, artists, and writers. The Nahua ‘ixiptla’ concept has been translated as image, delegate, substitute or representative. Ixiptla could be a statue, a vision or the victim that becomes the god for human sacrifice. The various ixiptla of the same god could occur simultaneously. Ixiptla is derived from the particle xip: skin, cover, shell. That is, the container, the recognizable presence, the update of a force embedded in an object: a being there, removing the distinction between essence and matter, original and copy.